Matrox Iris GTR combines fast image sensing, efficient embedded processing and comprehensive I/O capabilities for an effective all-in-one vision system. It comes with a CMOS image sensor of choice, from a range of increasing resolution in monochrome or color, to meet an application’s requirement for scene coverage and detail, type of analysis and throughput. An Intel® Celeron® dual-core processor running Microsoft® Windows® or Linux® gives Matrox Iris GTR the power it needs to perform regular inspection tasks at typical rates on a familiar software platform. Digital I/Os, Gigabit Ethernet and USB ports, and a VGA video output provide the connectivity to fully integrate the Matrox Iris GTR within an automation cell or machine. Components include cameras, interface boards and processing platforms, all designed to provide optimum price-performance within a common software environment. Pre-licensed with the following packages: machine vision, identification, image compression, DMIL, Metrology, Color Analysis (GRT…C models only), and industrial/robot communications. Geometric Model Finder and String Reader/ SureDotOCR require an additional license purchased separately. Iris GTR with DA GTR300 Matrox Iris GTR smart camera with monochrome 640×480 sensor, dual-core Celeron® CPU, 2GB of memory, 32GB eMMC storage and Linux® (64-bit). Includes DVD with Matrox Design Assistant IDE and a maintenance registration number. PC Requirements: 64-bit Windows®7 with SP1 /8.1/ Windows® 10 and HTML5-capable browser. Iris GTR with DA GTR300C Matrox Iris GTR smart camera with color 640×480 sensor, dual-core Celeron® CPU, 2GB of memory, 32GB eMMC storage and Linux® (64-bit). Includes DVD with Matrox Design Assistant IDE and a maintenance registration number. PC Requirements: 64-bit Windows®7 with SP1 /8.1/ Windows® 10 and HTML5-capable browser. Iris GTR with DA GTR1300 Matrox Iris GTR smart camera with monochrome 1280×1024 sensor, dual-core Celeron® CPU, 2GB of memory, 32GB eMMC storage and Linux® (64-bit). Includes DVD with Matrox Design Assistant IDE and a maintenance registration number. PC Requirements: 64-bit Windows®7 with SP1 /8.1/ Windows® 10 and HTML5-capable browser. Iris GTR with DA GTR1300C Matrox Iris GTR smart camera with color 1280×1024 sensor, dual-core Celeron® CPU, 2GB of memory, 32GB eMMC storage and Linux® (64-bit). Includes DVD with Matrox Design Assistant IDE and a maintenance registration number. PC Requirements: 64-bit Windows®7 with SP1 /8.1/ Windows® 10 and HTML5-capable browser. Iris GTR with DA GTR2000 Matrox Iris GTR smart camera with monochrome 1920×1200 sensor, dual-core Celeron® CPU, 2GB of memory, 32GB eMMC storage and Linux® (64-bit). Includes DVD with Matrox Design Assistant IDE and a maintenance registration number. PC Requirements: 64-bit Windows®7 with SP1 /8.1/ Windows® 10 and HTML5-capable browser. Iris GTR with DA GTR2000C Matrox Iris GTR smart camera with color 1920×1200 sensor, dual-core Celeron® CPU, 2GB of memory, 32GB eMMC storage and Linux® (64-bit). Includes DVD with Matrox Design Assistant IDE and a maintenance registration number. PC Requirements: 64-bit Windows®7 with SP1 /8.1/ Windows® 10 and HTML5-capable browser. Iris GTR with DA GTR5000 Matrox Iris GTR smart camera with monochrome 2592×2048 sensor, dual-core Celeron® CPU, 2GB of memory, 32GB eMMC storage and Linux® (64-bit). Includes DVD with Matrox Design Assistant IDE and a maintenance registration number. PC Requirements: 64-bit Windows®7 with SP1 /8.1/ Windows® 10 and HTML5-capable browser. Iris GTR with DA GTR5000C Matrox Iris GTR smart camera with color 2592×2048 sensor, dual-core Celeron® CPU, 2GB of memory, 32GB eMMC storage and Linux® (64-bit). Includes DVD with Matrox Design Assistant IDE and a maintenance registration number. PC Requirements: 64-bit Windows®7 with SP1 /8.1/ Windows® 10 and HTML5-capable browser. All models pre-loaded with MIL 10 run-time environment. Models may require a software development package and an additional run-time license purchased separately. Iris GTR GTR300MW Matrox Iris GTR smart camera with monochrome 640×480 sensor, dual-core Celeron® CPU, 2GB of memory, 32GB eMMC storage. Includes Design Assistant. Iris GTR GTR300CMW Matrox Iris GTR smart camera with color 640×480 sensor, dual-core Celeron CPU, 2GB of memory, 32GB eMMC storage. Includes Design Assistant. Iris GTR GTR1300MW Matrox Iris GTR smart camera with monochrome 1280 x 1024 sensor, dual-core Celeron CPU, 2GB of memory, 32GB eMMC storage. Includes Design Assistant. Iris GTR GTR1300CMW Matrox Iris GTR smart camera with color 1280 x 1024 sensor, dual-core Celeron CPU, 2GB of memory, 32GB eMMC storage. Includes Design Assistant. Iris GTR GTR2000MW Matrox Iris GTR smart camera with monochrome 1920 x 1200 sensor, dual-core Celeron CPU, 2GB of memory, 32GB eMMC storage. Includes Design Assistant. Iris GTR GTR2000CMW Matrox Iris GTR smart camera with color 1920 x 1200 sensor, dual-core Celeron CPU, 2GB of memory, 32GB eMMC storage. Includes Design Assistant. Iris GTR GTR5000MW Matrox Iris GTR smart camera with monochrome 2592 x 2048 sensor, dual-core Celeron CPU, 2GB of memory, 32GB eMMC storage. Includes Design Assistant. * Ask for Availability Matrox Iris GTR smart camera with monochrome 640×480 sensor, dual-core Celeron® CPU, 2GB of memory, 32GB eMMC storage. 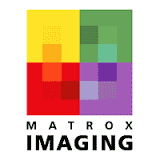 Includes Design Assistant.Matrox Iris GTR comes pre-installed with customized Linux® 64-bit distribution. * Ask for Availability Matrox Iris GTR smart camera with monochrome 1280 x 1024 sensor, dual-core Celeron CPU, 2GB of memory, 32GB eMMC storage. Includes Design Assistant. Matrox Iris GTR comes pre-installed with a customized Linux® 64-bit distribution. * Ask for Availability Matrox Iris GTR smart camera with color 1280 x 1024 sensor, dual-core Celeron CPU, 2GB of memory, 32GB eMMC storage. Includes Design Assistant. * Ask for Availability Matrox Iris GTR smart camera with monochrome 1920 x 1200 sensor, dual-core Celeron CPU, 2GB of memory, 32GB eMMC storage. Includes Design Assistant. * Ask for Availability Matrox Iris GTR smart camera with color 1920 x 1200 sensor, dual-core Celeron CPU, 2GB of memory, 32GB eMMC storage. Includes Design Assistant. * Ask for Availability Matrox Iris GTR smart camera with color 2592 x 2048 sensor, dual-core Celeron CPU, 2GB of memory, 32GB eMMC storage. Includes Design Assistant. GTR-STARTER-KIT Matrox Iris GTR starter kit for all models except GTR5000(C). Includes power supply, 12mm C-mount lens, Ethernet cable, power cable, VGA/USB cable and breakout board for digital I/Os. For development purposes only. Not to be used for deployment. GTR5000-STR-KIT Matrox Iris GTR starter kit for GTR5000(C). Includes power supply, 12mm C-mount lens for 5 MPixel sensor, Ethernet cable, power cable, VGA/USB cable and breakout board for digital I/Os. For development purposes only. Not to be used for deployment. GTR-CBL-PWR/3 9.8’ or 3m cable for Matrox Iris GTR to connect power, discrete I/Os and LED lighting intensity control. M12 to open end. GTR-CBL-ETH/5 16.4’ or 5m Ethernet cable for Matrox Iris GTR. M12 to RJ45 connector. GTR-CBL-VGAUSB 3.2’ or 1m cable for Iris GTR to connect VGA and USB. M12 to HD-15 and USB connectors.